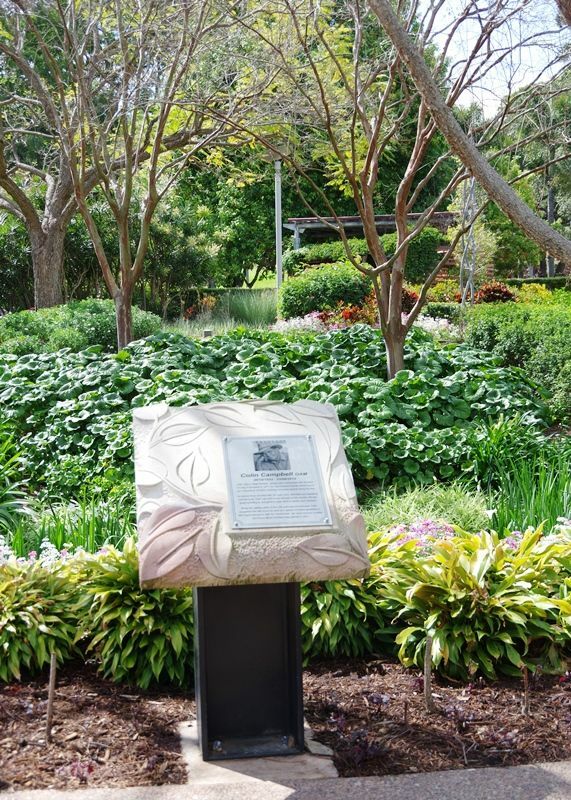 The Spectacle Gardens were renamed Colin Campbell Place in commemoration of Colin Campbell who worked in the horticultural industry. A memorial plaque has also been placed in the gardens. Colin Campbell lobbied two state governments to have the disused railway yards transformed into a world-class garden. Campbell shared his gardening expertise on television, radio and in print for almost 30 years, including as a presenter on ‘Gardening Australia’, radio talkback shows and through newspaper columns, making him a well-known personality throughout Australia. Mr Campbell was awarded an Order of Australia Medal on Australia Day 2007 for his services to horticulture. He received many accolades and awards for his contribution to the industry that he dearly loved, including the Gold Wattle Award by the Australian Institute of Horticulture in October 2011 – only the second time the award was made available in the 51 year history of AIH. Colin Campbell died in 2012. Colin, born in New Zealand, always had a connection with the land. Arriving in Brisbane in 1977, he soon became heavily entrenched in the horticultural industry, receiving numerous awards along the way. For almost three decades with his radio, print, television and speaking committments, Colin was well known throughout the country. He also loved travelling to visit gardens both within Australia and overseas. 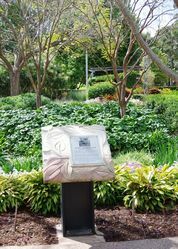 When the railway yards on this site were decommissioned, Colin recognised the site would be ideal as a garden for future generations, After much discussion with the Government, his vision became a reality and Roma Street Parkland was opened in 2001.